How are you feeling, sweet soul? I am loving the energy of 2017 and last year seems so far behind me. I’ve done a lot of releasing – both for myself and for my clients so I feel like I’m truly at the beginning of a new year. If you feel like 2016 is still clinging on or you are floating in between spaces, I’m doing a free live call/sacred ceremony this week to release and call in the energy of the new year. It’ll be so wonderful to connect and spend this sacred time together. There is nothing like clear and focused group energy to amplify the support around and inside us. Gathering in groups like this is one of the biggest blessings for me – both in my life and in business. You are welcome to join us by signing up here. If you can’t attend live, everyone on this list will receive the recording afterwards. And if you long for sacred 1:1 guidance and energy work, there are still spaces left for my Shine Your Light in 2017 packages here (only until January 31) and my single sessions here. RECEIVE. What an interesting word this has been to integrate. This year I realized just how much I still resist receiving. I’ve been doing deep inner work on money and abundance with my dear soul sister Lara Waldman and this has been a HUGE one. I’ve paid attention to every part of my body and heart that has resisted to open up and gently, lovingly started to come back to my true self. It’s been a beautiful, challenging and at times very magical journey. I’ve fully opened up and accepted even more love, gifts, money and support this year. I am SO grateful for my amazing soul sisters and family for allowing me to feel so safe and loved that I’ve been able to welcome in more of all the good things I’ve been asking for. This word will continue to guide me for a long time and I am now very aware of what’s going on inside me. I have great tools to release the resistance and blocks and I am deeply committed to receiving even more in the new year. 2016 was a challenging year in many ways and some of the things that happened globally at times broke my heart and spirit. My life and business on the other hand were really exciting and some of my big dreams came true. I loved going back and reviewing my year in Leonie Dawson’s workbook and I couldn’t believe how much actually happened in only one year. I started to move away from 1:1 sessions to group circles and programs in a way that felt really powerful and authentic. I love intimate soul connections and realized that this is possible with the right groups of people and a clear, aligned intention. This big leap was a big challenge and triggered all my buttons but wow, what a powerful, sacred shift it was! // Amazing support: I let go of everything and everyone who wasn’t supporting me or my business and opened up to an even deeper level of support from the right people for me. I became much firmer about my boundaries and honoured my desires. I let go of my local mastermind and am now open to a new one emerging. My online mastermind is even more powerful and one of the most important parts of my support team. Human relationships can be so challenging but I am willing to show up fully and experience the true magic that happens when the right people gather in sacred circle. // Self care became a non negotiable: I scheduled in regular massages, energy sessions, creative play time, movement and rest. I don’t have to justify this time or expense to myself anymore and it has become a daily/weekly habit. The better I take care of myself the more I can enjoy life and business. It all starts on the inside. // I only worked with amazing soul clients: I’ve been very clear and honest both with myself and potential clients about who I wish to work with and also if I believe they will benefit from a certain program. This has been really scary but I have really honoured my intuition on this one. My deepest desire is to be the best guide for my dear clients. If I truly believe they are a great fit for one of my offers I will let them know. And if I don’t, I trust that they will find exactly what they need from someone else. There is a time for everything and we can’t rush healing, growth and expansion. By honouring this I honour YOU. // I finally created an Intuitive Business Program AND ran my Clear Your Path & Shine Program again: I’ve been called to create a Business Program for Intuitives for a long time and in 2016 it finally happened. Thank you to all my clients and soul sisters who have insisted! I launched Embrace Your Purpose – An Intuitive Business Program for Conscious Entrepreneurs last summer and we started in September. The group of women in this program are absolutely amazing. They are so incredibly gifted, open-hearted and willing to go as deeply as they need in order to create their sacred work and share it with the world. I love every moment creating content and connecting with them and can’t wait to offer this program again (we’ll start in September and the registrations will open in July). I also ran my Clear Your Path & Shine Program and it was so powerful. An amazing group of women, so much depth and powerful shifts in their lives and business. Can’t wait to start this one again in April. // I co-created the No Limits Event live in Brussels: My friend Joanna Hennon and I had the crazy, inspired idea to create a live business with heart event here in Europe and we did it. This event helped us expand and embrace our leadership skills in so many ways and it was an incredibly powerful event! Due to demand and because we loved it so much, we are doing another event on March 24-26 – find out more and join us here. // I created my first Intuitive Business talk/workshop/sacred circle: I’ve been nudged to do this for a looong time and after a series of miraculous synchronicities it all fell into place. All I had to do was say yes and show up. The group of wise women who showed up were SO incredible and the space (the beautiful yoga studio Mamita in Stockholm, Sweden) a dream come true. I am so grateful for this gathering and can’t wait to create more. // Lots of travel to stay alive: This longing seems to grow stronger than ever. and I was so happy and grateful for my incredible long weekend in London to attend my god son’s christening (with my daughter), the No Limits Event weekend in Brussels and two trips to Sweden. More of this please! // I was invited to speak at Leonie Dawson’s live event in Australia: I’ve been wanting to do more public speaking and I’ve felt the call to go back to Australia again so this was a dream come true. I can’t wait to meet so many of the amazing women in her Shining Academy as well as the others speakers and Leonie! If you’re a member, I’d love to see you at the event – and if not, I’m hoping Leonie will open up for new members in time for the event. // I didn’t double my income: I love setting big goals for myself and often I reach them in pretty miraculous ways (including lots of inspired action ;) ). As I looked back on my numbers I realized that I’ve been in business full time for 5 years and each year my income increases. I work less and my business feels more and more focused and aligned with my purpose. I ACCEPT where I am right now. I am grateful for all the blessings and challenges. I open up to RECEIVE everything that is in alignement with my highest good. // I didn’t find a bigger house or an office for me: It’s been a pretty wild ride trying to find a new house! First we found one that seemed great but both my husband and I shifted some big stuff and the house was no longer in alignment with us. Although we were all really disappointed I have to trust the process. I’m at a point where I feel like my sense of power, stability and flow has to come from the inside and every time I try to attach it to something outside myself, it slips away. I’d still love to find a bigger house so we can all have some more space but I am open to moving to a different area if this is what is truly right for us. So I surrender and let it all go. And I stay open to receive what is in alignment with my soul. I am so grateful for my life and business and I’m excited to map out the new year and create more magic. I am getting ready to fly to Australia on a solo adventure in less than 1 month and I am so excited and a little nervous too. I’ll meet some amazing soul sisters that I have never met (or only briefly) IRL and attend two live events. After Leonie’s big Academy Retreat in Canberra I’m going to Danielle Laporte’s event in Sydney, the day before I fly home. Meant to be. I am so grateful for this journey and hope to meet many of you! How about you, beautiful soul? How was your year and how do you feel about it? If you haven’t reviewed your year yet, I invite you to take the time to do it now. 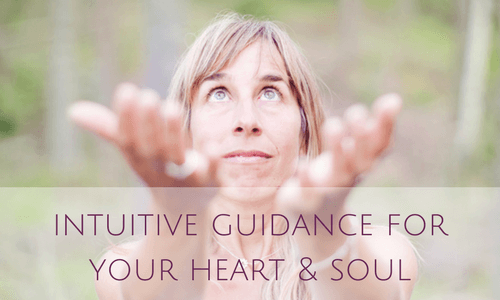 Listen to your intuition and do it in a way that feels good to you. If you need some support I wholeheartedly recommend using my dear friend Leonie Dawson’s beautifully illustrated and very powerful workbooks and planners. If you feel guided to connect with me for a powerful intuitive reading, filled with healing and love, I still have spaces left here. And if you are amping up your support this year I would love to connect with you for the Shine Your Light package (a great deal for 4 readings at the beginning of each season). Read more about what my gorgeous clients from the past years have experienced with this offer here. I wish you a sweet, joyful and miraculous beginning of the year! PS: If you get your workbook and/or planner from Leonie Dawson through my affiliate link by January 25 you may be one of the 3 winners of a 45 min Intuitive Reading with moi.